Frank’s window cleaning services has been serving the Bristol and Bath communities since it was established in 2006. Owned and managed by Richard Franklin, the company’s aim is to offer an unbeatable and highly professional window cleaning service. We’re so confident in our work that we offer a 100% satisfaction guarantee on all work. 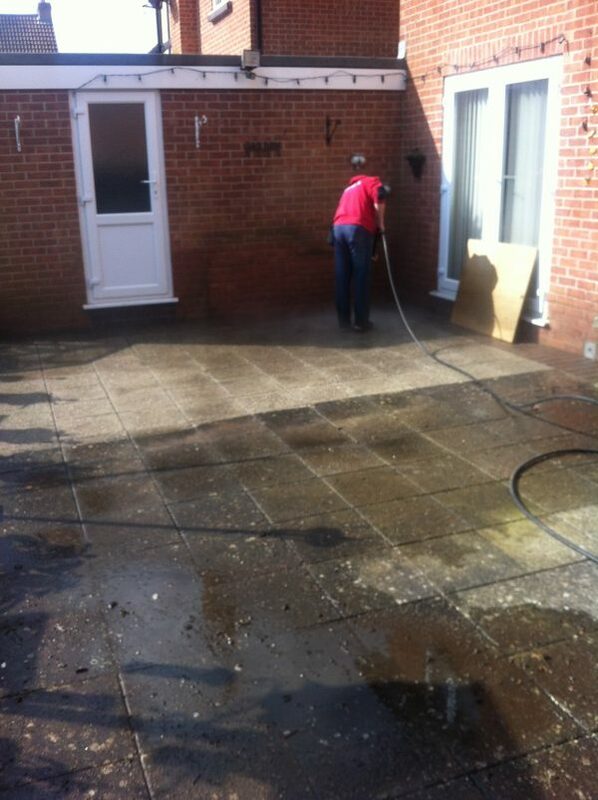 If you aren’t happy with the results, call within 48 hours and we’ll re-clean the affected areas free of charge. Window cleaning is the cornerstone of our business. We service many residential clients each month as well as numerous commercial contracts. We are proud that our business has been built on recommendations, a testament to our high standards of workmanship and our customer service. Gutter, Fascia & Soffit Cleaning – In our climate, rainwater goods and Upvc quickly become discoloured with algae and unsightly mould. Our cleaning system allows us to restore these to “like new” without the operator even leaving the safety of the ground! 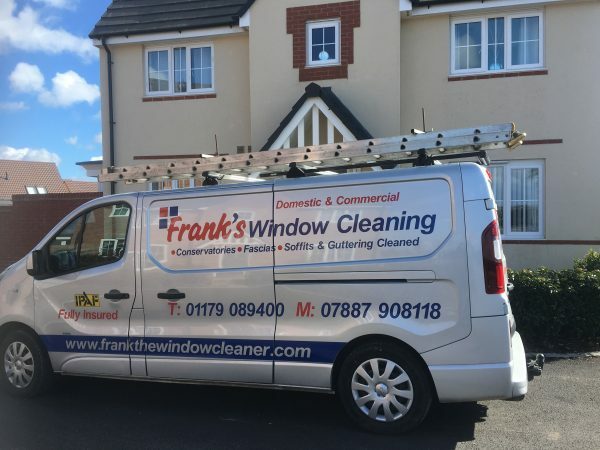 Conservatory Cleaning – Frank’s Window Cleaning can hand clean your entire conservatory, including the roof, using soft brushes and pure water. For heavy grime, a high-performance, biodegradable cleaning agent is used which is nontoxic to your plants and pets and safe for window frames and seals. We provide professional window cleaning, pressure washing and exterior cleaning services for residential properties, businesses, schools, offices, hotels and shops in Keynsham, Saltford, Whitchurch, Marksbury, Chelwood, Chewton Mendip, West Harptree, Chew Stoke, Chew Magna, Compton Martin, Blagdon, Longwell Green, Bitton and surrounding villages. We would just like to write and say how pleased we are with the window cleaning you carried out on our building for the past 2 years. The price we were quoted each year was very competitive and great value. You are extremely polite and carry out the work to a very high standard and as always cleaned windows up as if they were never dirty. We were most impressed with your prompt response when we forgot to clean the windows before wedding, and you were able to get this done in the next 24 hours. 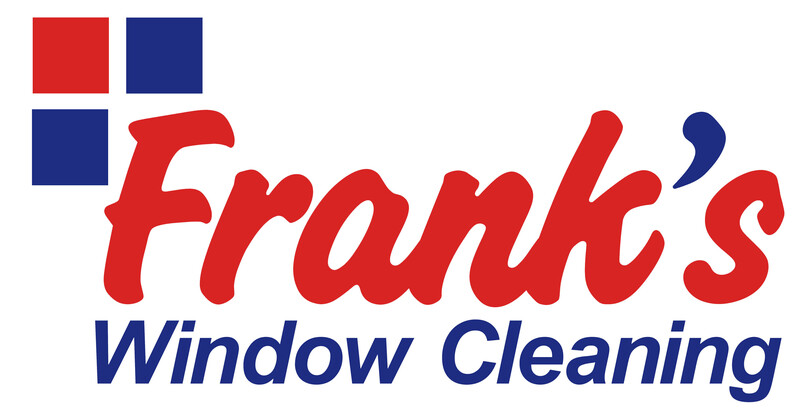 Franks Window Cleaning works quickly and cleanly and in a very professional manner. I would not hesitate to recommend you to anyone considering using a service like yours. I am extremely pleased with the service that you have provided to us from window cleaning, high level gutter cleaning for us at RW Projects. Your boys are always so helpful, friendly and polite, thanks for all your hard work. Look forward to using you again. Richard has been carrying out work for our company for a number of years now helping us with domestic & commercial cleaning of houses & offices – We have always called on Richard ‘usually at short notice’ & he has always been happy to help including Weekends if needed. For a company like ours who work for many major insurance companies & in high value properties knowing Richard & his team are trustworthy & reliable is a real help! I’m sure our relationship will continue for many years. Richard is a great window cleaner: very reliable service. He’s very flexible too, so if we want the inside of our windows done, I’ll just drop him a text and arrange it. Very trustworthy. I would recommend Richard – but not to too many people, as I want to make sure he carries on cleaning our windows! Franks’ Window Cleaning Services offer personal attention, professional service, and innovative safe solutions for all your cleaning needs. We pride ourselves on our customer service and standard of work. It’s no wonder then that the vast majority of our customers were referred to us by a friend, who was already delighted with our service! We offer both regular scheduled cleaning (5 weekly or Bi-Monthly) and “one-off by appointment” cleaning. We also specialise in external “spring cleaning”, making your property look like new from the gutters down to the footpaths! We also offer internal window cleaning. Contact Us to arrange a time that suits you. Use the form below to contact me via e-mail. We aim to respond to all e-mail messages within one working day, but if your query is urgent it may be quicker to contact us by phone. Say goodbye to your dirty driveway! 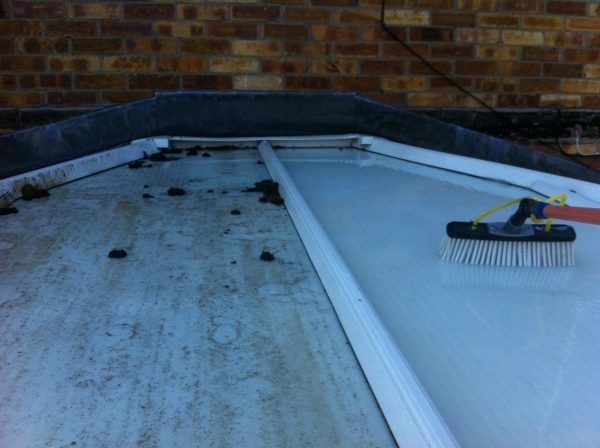 Is your conservatory dark and dirty after the winter? 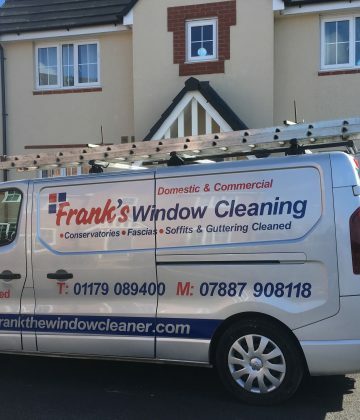 The conservatory cleaning experts at Franks Window Cleaning have been making conservatories across Bristol and Bath sparkle since 2006! Call our friendly team today to see how we can revitalize your conservatory and bring light back into your home! Franks window cleaning services has been serving the Bristol and Bath community’s since it was established in 2006. Owned and managed by Richard Franklin, the company’s aim is to offer an unbeatable and highly professional window cleaning service. We’re so confident in our work that we offer a 100% satisfaction guarantee on all work. Copyright 2018 Franks Window Cleaning. All rights reserved.